According to Spanish paper Sport, who have close links to Barcelona, Liverpool and Manchester City have already submitted offers of around €20m for Marc-Andre Ter Stegen. They claim that the German’s current wage will be doubled by both Premier League clubs, but that Barcelona are still only interested in selling for something close to Ter Stegen’s release clause – around €80m. This is a ludicrous sum, but it could be lowered if the player expressed an interest to leave, having been used as Barcelona’s cup goalkeeper in the two seasons since he arrived. 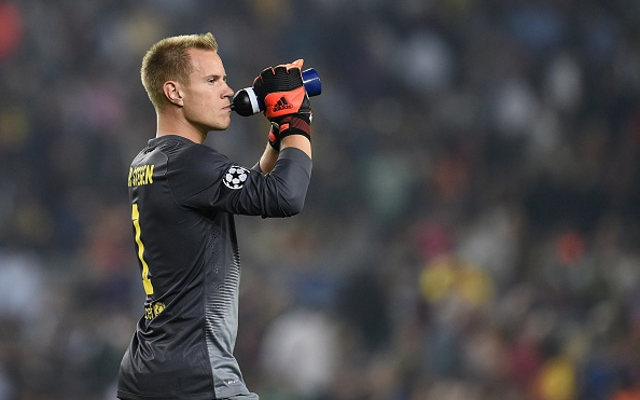 He did collect a Champions League trophy last term, but a keeper of Ter Stegen’s ability should be a no.1. It’s interesting that the report claims City have also made a bid, surely under the instruction of Pep Guardiola – the incoming manager. The Sky Blues already have England’s no.1 Joe Hart, not to mention Willy Caballero – whose penalty heroics lost us the League Cup – but Guardiola must want a stopper with better footballing ability. If City beat us to Ter Stegen, we should have a look at Hart, who’ll surely become available, instead. Simon Mignolet signed a lengthy new deal this season, but needs top quality competition for the starting spot.